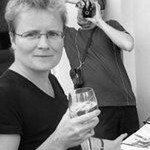 Poet, prose writer and a journalist of two rebellions – during totalitarianism she contributed to the underground magazine Vokno and was a member of the Teplice Pataphysics College, which was broken up by the state security forces, she is also an openly lesbian author. She was born in Teplice on 3 June 1957. 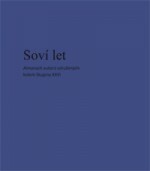 Narrated in a rap rhythm, Svatava Antošová’s novella slighlty reminds us of the chanted poetry used to destroy political opponents, as caustically practised since ancient times by poets in city agoras of dazzlingly white marble polis. She studied at the School of Librarian Studies, worked in an enamel factory and as an editor at Cosmopolitan magazine, since 2008 she has been an editor at the magazine Tvar (Shape). She started experimenting with poetry at the end of the 1970s, and during the 1980s she was very active in the literary Group XXVI, she participated in their poets’ meetings as well as in the Mácha pilgrimages around Czech castles. In the spirit of Beat poetry, her recitals were accompanied by the music group Mimo zákon (Outside the Law), she performed with the musician Karolina Steinhauserová (now Kamberská) from the Steinová Sisters duo, at the start of the 1990s her poems were the basis for the theatre production Noční přesčas (Overtime at Night), directed by David Czesaný. Her works can be found in dozens of poetry collections and anthologies. 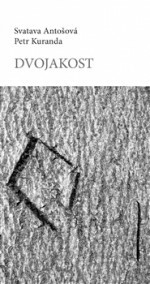 She made her literary debut in 1987 when Mladá fronta published her collection Říkají mi poezie (They Call Me Poetry) and in 1990 Československý spisovatel published the collection Ta ženská musí být opilá! (That Woman Must Be Drunk!). Her initial influences were rock and beatnik poetics, as well as pataphysics, which takes the world as a sequence of absurd events. She often describes explicit, carnal and even hallucinatory images (You asked for the tenderness and cruelty of eagle claws/ you asked for the magic and morbidity of an erect lighthouse/for its aimless sailing/you asked for a man and so you are in a dim room/ and with dimmed eyes found satisfaction with me/ with me in whom the desire grows to give you that feeling of true suffering). 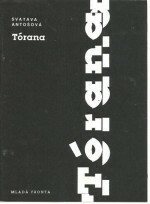 There then followed the collection Tórana (1994) and …aniž ťala hlavou (…Without Cutting Her Head, 1994). Inspired by Alfréd Jarry she wrote Kalendář šestého smyslu (The Calendar of the Sixth Sense) in the 1980s, but which wasn’t published until 1996. 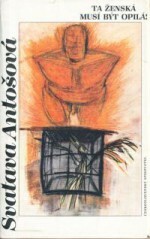 In 2004 Antošová also revealed herself to be a prose writer with the novel Dáma a švihadlo (The Lady and the Skipping Rope) with its subtitle Lesbicko-killerská parodie s autobiografickými prvky (Lesbo-killers Parody with Autobiographical Elements), published by Votobia. It really is about a murder and the narrator describes how she came to murder her partner. The openness with which the author describes the sexual scenes seems like a defiant coming-out, the hatred of heterosexuals is a reflection of how the majority of society perceives homosexuals. A year later there was another of Antošová’s accusations of social homophobia in the book Nordickou blondýnu jsem nikdy nelízala (I Have Never Gone Down on a Nordic Blonde). This pornographic comedy again uses the motif of murder, where each of her heterosexual characters has some perversion which is much more unacceptable than homosexuality. In the same year the author returned to poetry with her collection Ještě mě nezabíjej! (Don’t Kill Me Yet!) which is both morbid, carnal and animalistic. 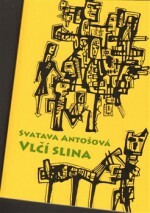 Vlčí slina (Wolf Saliva), a collection of poetry from 1996 to 2006, was published in 2008. Skoby punkt memory (Hooks/Punkt Memory), written in freestyle language, came out in 2012. “The girl Dolfi is the model of an intellectually well-equipped, illusion-free perceiver of the world with all its tendencies towards its own self-destruction,” wrote the critic Mirek Kovářík about the book.